A REMINDER TO USERS OF MICRO F1 WITH ASPECT RATIO 16:9:Please NOT change the setting "TRANSFER MODE" on OSD menu or you will get into HD mode which FPV monitors cannot display. Only the first batches have this setting on the OSD menu. If you already did that, please PM Caddx on Facebook or mail to caddx.us@caddx.us. 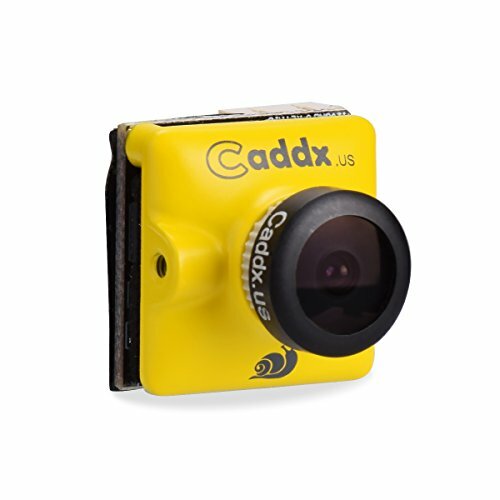 Super Image Sensor: This Caddx Turbo Micro F2 camera is with 1/3" CMOS super image sensor, low latency to provide high quality image. Wide Voltage Range: Double scan WDr and Aspect Ration: 16:9. Support Audio and microphone : An audio connector which available in microphone to obtain sound with your video. Supper Night Vision: 1200TVL makes your image more clearer and in high quality. Mini Illumination: 0.001lux; TV system: NTSC/PAL. Your Privileges: 12-Month Warranty and lifetime free customer service! If you have any questions about this product by Caddx, contact us by completing and submitting the form below. If you are looking for a specif part number, please include it with your message.